Rain or shine. Children of all ages welcome. The hunt will begin promptly at 11 a.m.! 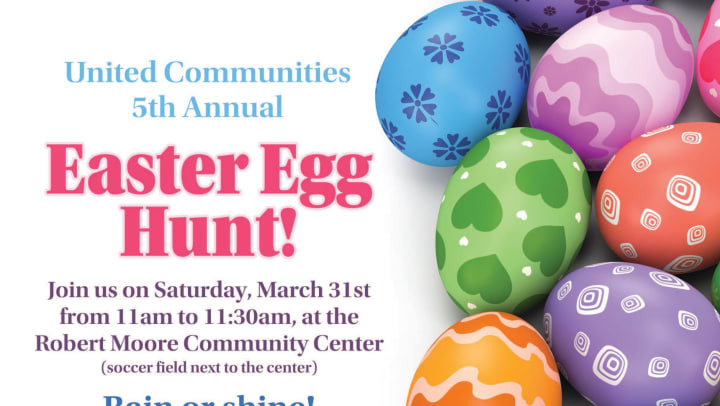 Make sure you are there on time, the eggs go fast. There will be sections for young and older children. This is a residents only event, free to our residents. Please have the children bring an basket.